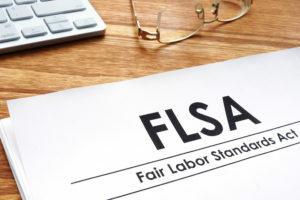 The federal Fair Labor Standards Act (FLSA) governs minimum wage, overtime pay eligibility, recordkeeping, and child labor standards for many workers in the private sector and federal, state, and local governments. Workers who hold positions determined to be covered under the mandatory overtime provisions of the FLSA must be compensated with overtime pay or compensatory time for all hours worked over 40 in a single workweek. Workers in certain industries and who meet certain criteria are exempt from the overtime provisions, but the FLSA itself is somewhat vague about the specific requirements of some of those exemptions. In 2018, the DOL returned to its practice of responding to specific but theoretical wage and hour questions via official opinion letters. 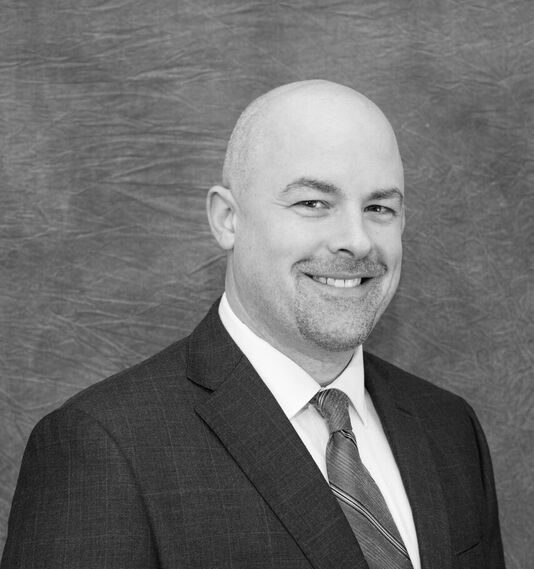 The agency answers questions posed by employers that do not involve facts from any ongoing litigation or actual cases; the letters are meant to offer specific direction that clarifies the law and can be used as an affirmative defense in future litigation where appropriate. Recently, it released three opinion letters addressing exemptions from the FLSA overtime provisions. The FLSA exempts from its minimum wage and overtime requirements any “employee employed in a bona fide executive, administrative, or professional capacity” who satisfies certain duties and salary-related requirements. The law allows salaried employees to receive additional compensation, including wages for “hours worked … beyond the normal workweek” on an hourly, daily, or shift basis without losing the exemption in certain circumstances. Extra compensation is allowed if the employee receives a guaranteed weekly salary of at least the standard salary level and “a reasonable relationship exists between the guaranteed amount and the amount actually earned.” In the case of the employer who submitted the question, employees were paid a base salary for up to 30 hours of work per weekand then paid hourly for additional time worked (which could vary from week to week). According to the DOL, earnings up to 150% of a worker’s guaranteed salary are considered reasonably related and do not disqualify the worker from being exempt. However, if a worker’s “usual earnings” (which the DOL advised could be appropriately calculatedas a worker’s average weekly pay over a yearlong period of work) were more than 150% of their guaranteed salary, the worker would not be properly classified as exempt. The DOL advised this particular employer that its workers earned too much actual pay, on average, compared to their guaranteed weekly salaries, to be exempt from the FLSA overtime requirements. The DOL considered the question of whether nonprofit, private volunteer fire departments that contract with state municipalities and counties to provide fire protection services to the general public are public agencies entitled toa partial overtime exemption outlined in the FLSA. The agency clarified that a private party may be considered a public agency, and thus meet the exemption criteria, only where the entity is directly responsible to public officials or to the general public and its contract with the government entity designates it as a public agency rather than an independent contractor. “Direct responsibility” to the public or government includes operational independent, the right to select and control the agency’s board of directors, and the ability to hire and fire employees. Taxpayer funding of the agency is not a controlling factor. Even if a state enacted legislation designating them as “political subdivisions,” the agencies’ operational independent would disqualify them from the FLSA exemption. Lastly, the FLSA’s minimum wage and overtime requirements specifically do not apply to certain seasonal “amusement or recreational establishment[s].” To be considered a qualifying amusement or recreational establishment, a company or organization must be (1) an establishment, i.e., an actual distinct physical place of business, (2) frequented by the public (3) for its amusement or recreation. In this opinion letter, the DOL opined that a company that contracted with hotel, motel, apartment, and condominium buildings to operate and maintain swimming pool facilities at each property could meet the definition and claim the exemption. The DOL indicated, however, that the pools must meet two criteria to be considered exempt facilities under the law: that they be physically separate from the hotel/motel or residences and that they be available not only to the residents or paying guests of the apartments or hotel rooms but to the public at large (although it is permissible to charge a fee for admission). If those two conditions are met, employees who work at those pools would be exempt from the FLSA’s overtime requirements.